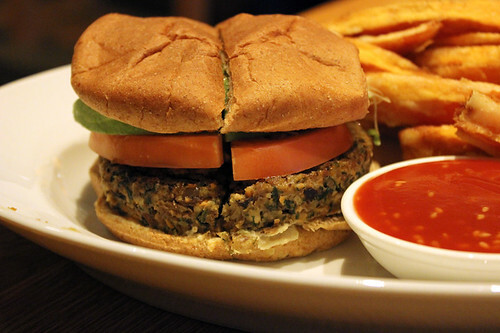 I was looking forward to trying the veggie burger at Gobo because I had heard great things about the restaurant’s vegan food from a meat-eating friend, which is often a good indicator of quality! From their website, it looked like the veggie burger is only available on the lunch menu – so I made sure to stop by in the afternoon to accomplish my mission. At a pricey $13, I was certainly hoping my veggie burger would be a good one (at least that price includes yam fries!). 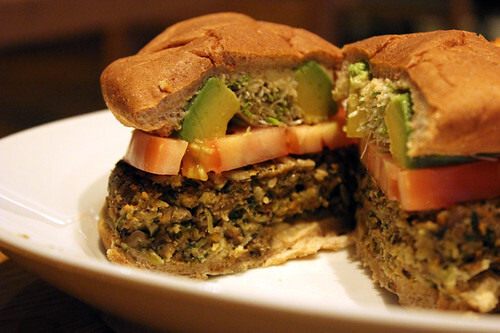 It came topped with sprouts, tomato, hummus – and plenty of avocado! I definitely give extra points for restaurants who don’t skimp on the avocado, so this seemed off to a good start. The bun was surprisingly plain though – whole wheat, and soft and fresh, but it was just like one of those generic burger buns you buy in packs of 8 in the bread aisle at the grocery store. Nothing special at all. And the bottom half got a bit soggy underneath the patty and toppings. When I took my first bite, I tasted an earthy mix of grains and vegetables – notably carrots, and I think mushrooms as well (although they were finely chopped and mixed in so well they didn’t bother a mushroom-hater like me). I also noticed a few sunflower seeds throughout the patty, which I enjoyed. It held together well, but was a mostly even-consistency – no crispy exterior or anything. 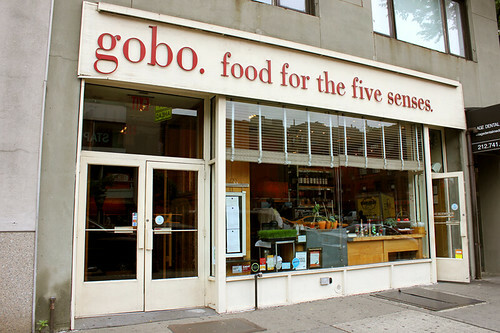 The flavor was definitely “healthy” but I was expecting something bolder, maybe a hint of spice – Gobo’s slogan is “food for the five senses” so you can’t blame me for expecting something a little more exciting to my taste buds! The yam fries and ketchup were really yummy though! Although perhaps my expectations for this burger were too high, it was still a pretty good lunch overall. I would like to come back and try some other items on the menu, since there were a lot of other dishes that sounded like they might be more flavorful than the burger. Yea, for $13, it better be amazing! :-) Looks like a decent burger though....but sounds too pricey! I've always thought the exact same thing about everything I've had at Gobo: meh. Well that's definitely a good thing! 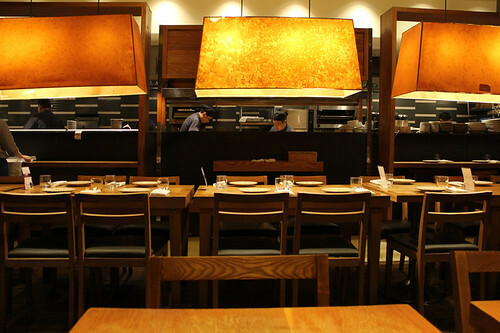 I've been to gobo a few times and that's enough..... Was blah, $$$, and the cooked dishes were all greasy.